In an age where data and identities are routinely stolen and parents worry about their child’s information being passed around online, legislatures should be looking to lessen data collection and sharing, not expand it. Yesterday, HB 401 was filed at the North Carolina General Assembly. 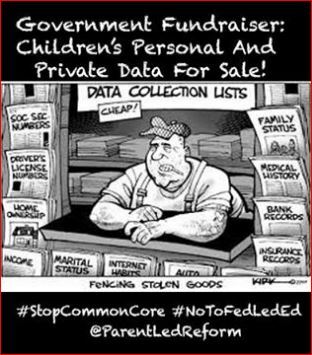 This bill has some rather unsettling aspects to it with regard to access and collection of student data. 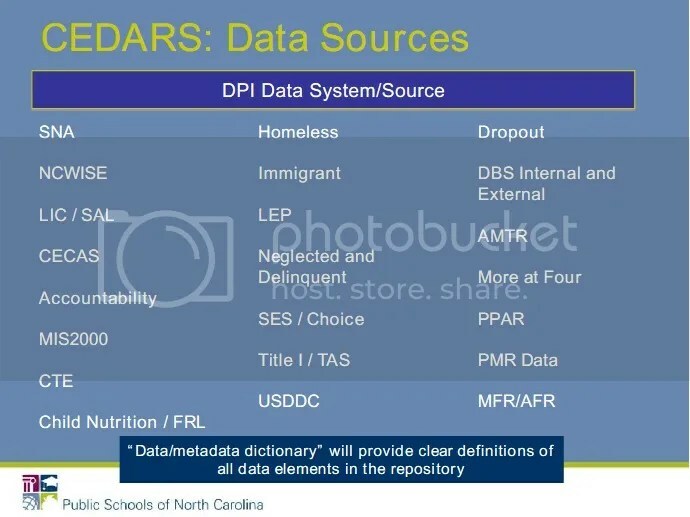 Common Core critics are all too familiar with that term as North Carolina was required by the Race To The Top Grant to create an “SLDS” or Statewide Longitudinal Database System. One of this SLDS’s primary functions was to facilitate the automation of student data sent to the Fed. The bill calls for sharing and migration of student data currently located in the P-20W statewide longitudinal database to the North Carolina Longitudinal Database System. The reason for the move seems to be the ‘conclusion of the federal grant’ for the P-20W system. North Carolina Longitudinal Data System Board will govern this database. WHO ARE THEY? Find out: § 116E-3. North Carolina Longitudinal Data System Board. AN ACT TO PROVIDE FOR THE SHARING OF DATA BY THE DIVISION OF EMPLOYMENT SECURITY AND DIVISION OF MOTOR VEHICLES WITH THE NORTH CAROLINA LONGITUDINAL DATA SYSTEM AND THE NORTH CAROLINA P‑20W STATEWIDE LONGITUDINAL DATA SYSTEM; TO CLARIFY THE USE OF DE‑IDENTIFIED DATA; AND TO TRANSITION THE NORTH CAROLINA P‑20W STATEWIDE LONGITUDINAL DATA SYSTEM TO THE NORTH CAROLINA LONGITUDINAL DATA SYSTEM UPON CONCLUSION OF THE FEDERAL GRANT FOR THE NORTH CAROLINA P‑20W STATEWIDE LONGITUDINAL DATA SYSTEM. Of real concern are the following sections/language below; some emphasis added. Note that the first item from the bill below, it says the Social Security number ‘may be disclosed’? If the SLDS doesn’t have the student’s Social Security number but instead the UID (Unique Identifier/Student number) they are allowed to share, then HOW is the Social Security number going to be ‘disclosed’?? SECTION 1. (b) Notwithstanding the requirements of G.S. 20‑7(b2), in accordance with 42 U.S.C. § 405 and 42 U.S.C. § 666, and amendments thereto, the Division may disclose a Social Security number obtained under G.S. 20‑7(b1) to the North Carolina P‑20W Statewide Longitudinal Data System for the purpose of connecting education and workforce data. SECTION 2. (b) Notwithstanding the requirement of G.S. 96‑4(x), the Department of Commerce, Division of Employment Security, shall provide record level unemployment compensation information to the North Carolina P‑20W Statewide Longitudinal Data System for statistical and analytical purposes to facilitate and enable the linkage of student data and workforce data required by the federal United States Department of Education grant awarded for development of the North Carolina P‑20W Statewide Longitudinal Data System. Unemployment compensation data provided to the North Carolina P‑20W Statewide Longitudinal Data System shall be maintained in compliance with all privacy and security standards established by the P‑20W Council. (4) “Student data” means data relating to student performance. Student data includes State and national assessments, course enrollment and completion, grade point average, remediation, retention, degree, diploma or credential attainment, enrollment, discipline records, and demographic data. Student data does not include juvenile delinquency records, criminal records, and medical and health records. This entry was posted in EDUCATION, LL1885, NC DPI, NCGA, The Articles and tagged CEDARS, HB401, P-20W, SLDS. Bookmark the permalink.